Notably absent from the FAA and Boeing statements is the F-Word, that being fire. 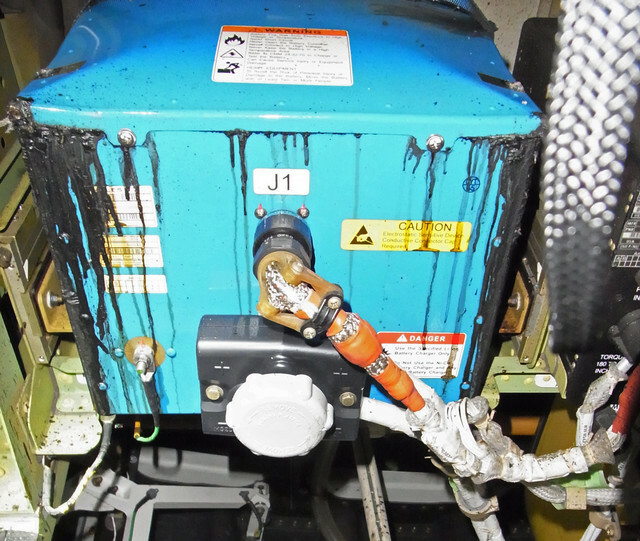 Despite the fact that the battery gone wild on the Japan Airlines Dreamliner at Boston's Logan Airport did catch fire, there will be no change in the regulator's position that fire on an airplane is a no-no. And that means even if contained in a big strong box, fire will be a no-go on the 787. The battery from the JAL battery fire in Boston. 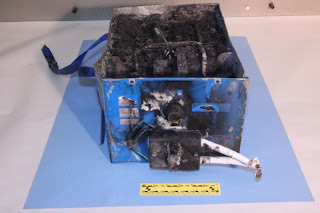 "A key feature of the new enclosure is that it ensures that no fire can develop in the enclosure or in the battery," said a statement from Boeing issued this afternoon. That's all well and good, and certainly speaks to the promise made by the FAA in its interactions with the Air Line Pilots Association back in 2007 when it turned down the pilots' request for fire fighting equipment on Dreamliners by saying, there would be no fire. Renewing a commitment to separate fire from flight sounds mighty good, but don't get too charged up about it. There are folks who insist, it ain't possible. "A battery pack may well be perfectly safe during the first months of ordinary use; however, dendrites and other types of nanoparticulate structures grow inside over time, increasing the probability of dangerous internal electrical shorts as the battery ‘ages’. The problem is that nobody in the world has any real working experience with large multi-cell Lithium-based battery packs that have endured hard usage and vibration for periods of many years." What Larsen and other scientists looking into this issue have found goes beyond dendrites to include unpredictable problems called "field failures" that can occur at a rate of from 1 in 4 to 5 million to one in a million per cell. 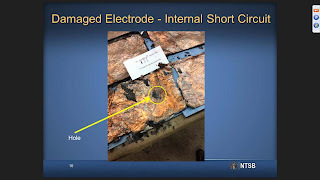 These failures are "insidious" and "self-driven" according to Brian Barnett, author of a chapter on lithium ion battery safety in the Encyclopedia of Sustainability Science and Technology, and "cannot be protected against by typical safety protection devices." 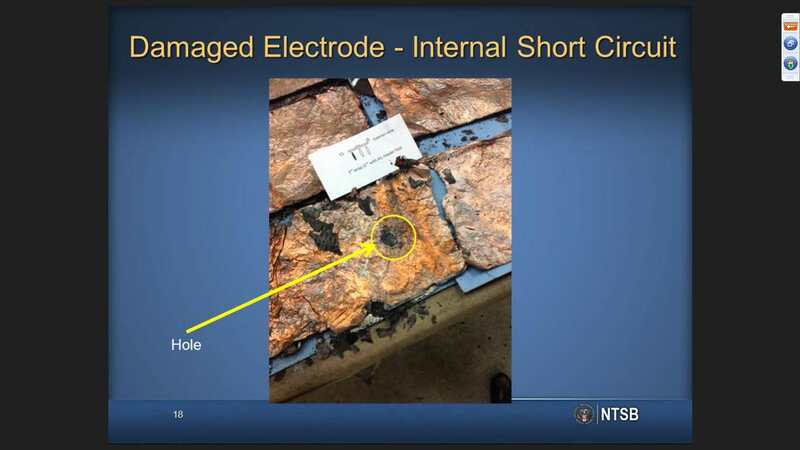 Over at the National Transportation Safety Board, where the investigation into the JAL Dreamliner battery fire has expanded to include an examination into how the Dreamliner was originally certified, those mysterious field failures have been added to the list of subjects that engineers will be studying I am told. The Dreamliner packs 16 lithium ion battery cells on each plane. I'm no mathematician but with either of the estimated field failure rates cited above, there's no way the Dreamliner can meet the certification standards restricting smoke events to one in every 100 million hours if Larsen and Barnett's numbers are correct. Nor, these scientists say, can a lithium ion battery user ever entirely rule out fire from field failures. Boeing determined that fire in the battery would be a one in a billion catastrophic event in applying for certification for the 787. 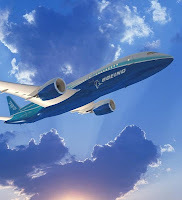 In making the announcement, Transportation Secretary Ray LaHood repeated for the umpteenth time the promise of federal safety officials, "We won't allow the plane to return to service unless we're satisfied that the new design ensures the safety of the aircraft and its passengers." Secretary LaHood doth not protest too much. He's clearly trying to live down his statement on January 11th that the Dreamliner is safe to fly. No one doubts that the Dreamliner has lived up to its billing as a revolutionary airplane. But by hitching their airplane of tomorrow to a complicated and volatile technology Boeing's battery design may be the revolution's first casualty. Sounds like a real sticking plaster solution to me. I just don't understand. It really, really seems to me like arguing about the colour of Titanic's lifeboats. There are so many voices flying around (sorry), so many jobs, dollars, reputations at stake, so many . . . uh . . er . . oh, I almost forgot: so many LIVES at stake that it really seems as if EVERYONE involved with this picture seems to see only THEIR tiny corner of that the large, flapping canvas that is THE issue here. Are people going to put these batteries onto very large, complex airplanes that are full of lots and lots of people who CAN'T board lifeboats? What the pilots said back when was, we DON'T WANT things to protect us from fires or have spew vents or sprinklers or containment fields or Mr. Scott and I need a wee bit more time, Cap'n -- we DON'T WANT FIRES IN THE FIRST PLACE. And that seems to me to be a MIGHTY REASONABLE position to take. Why is there NO DISCUSSION of a complete change of battery types -- say, a switch to NiMH or NiCad, instead of trying to fix this time bomb that is going to have an issue -- you can BET MY LIFE on it -- instead of this endless dithering and enormous waste of time? If they'd started on the switch immediately after the first grounding they might already be ready to start flying by now. I would love to have a crystal ball and read the blog post you're going to be writing about all this next March, Christine. "The problem is that nobody in the world has any real working experience with large multi-cell Lithium-based battery packs that have endured hard usage and vibration for periods of many years." Very interesting comment regarding "hard usage and vibration" Was the 787 battery pack or at least one of its cells ever tested in a vibration environment similar to that of a 787 when landing with its thrust reversers roaring full blast? Or the shocks during a rough flight or imparted by a hard landing? Didn't the Boston incident occur after some turbulence early in the flight and soon after the landing in Boston presumably with reverse thrust to slow it down? Problem is, folks, that EVERYTHING on the blooming' machine is operated by electricity. No hydraulics, no mechanicals. Darned if I know how the backup systems work. It's not a question of refitting alternative power sources; it's ripping out the whole guts and going back to Step 2. The 787 has Hydraulic Systems. A High Pressure Hydraulic Pump driven by each Engine, and Electric Driven Pumps. 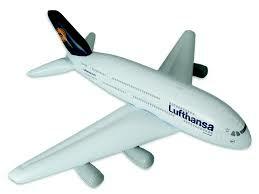 Hydraulic Pressure is used power Flight Control Surfaces, Rudder, Elevators, Flaps, Spoilers, Air Brakes. The Battery packs are rarely used. The APU Battery is only used when ground elect power is not available.